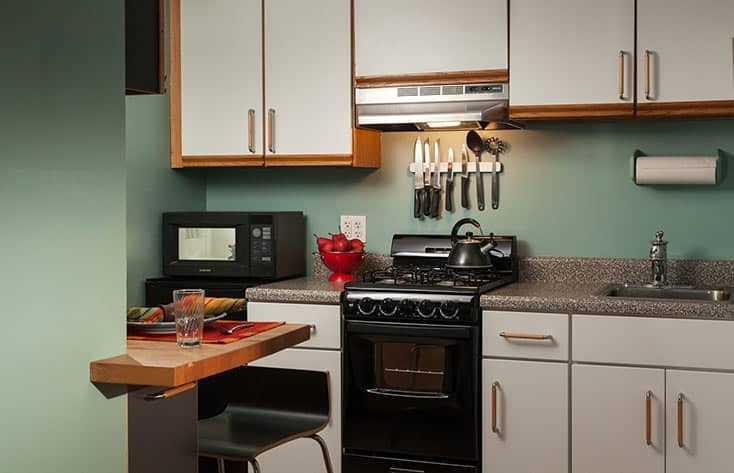 Grace is a dog-friendly with a flat screen LCD TV, DVD player, kitchen area with stove, fridge, microwave, coffee pot, utensils, and plates, it is a perfect condo for couples traveling with their pets. 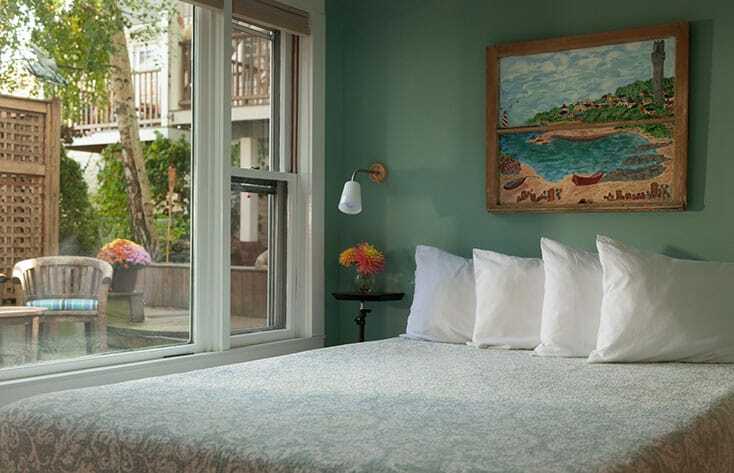 The bedroom has one queen size Tempur-Pedic bed. 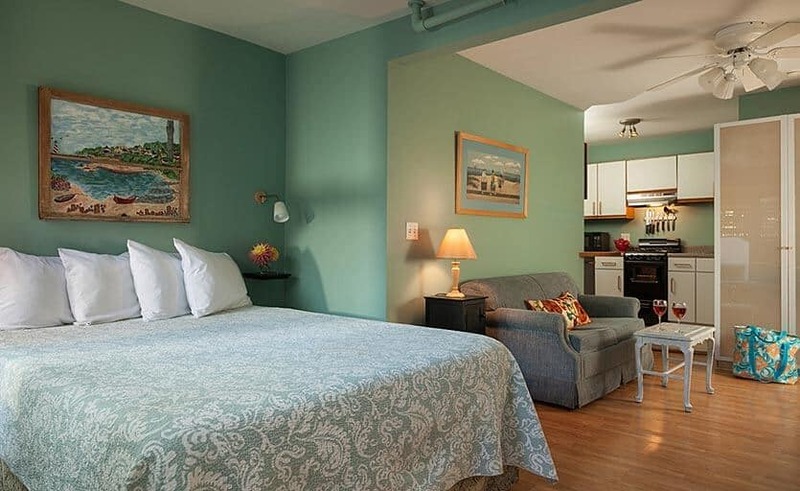 The bathroom has been recently remodeled for 2019 and includes a large walk in shower. 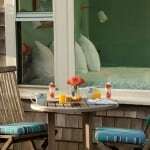 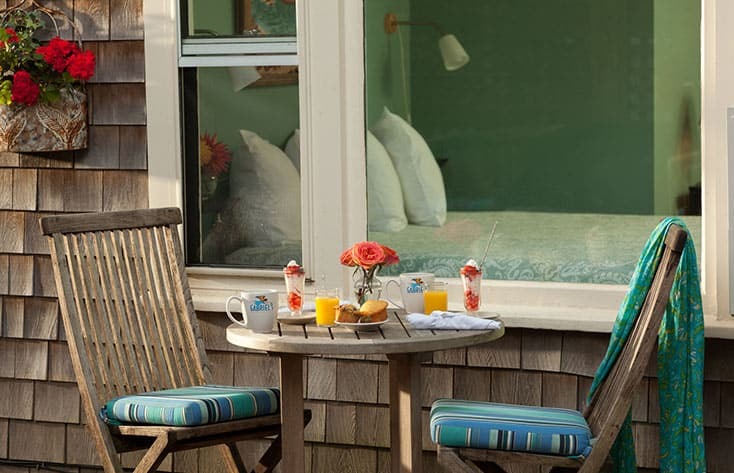 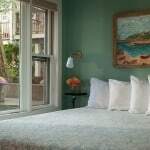 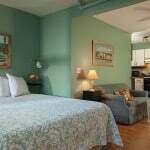 This smaller condo has a private entrance at the back building and is accessed through the courtyard level of 104A in our luxury Provincetown accommodations. 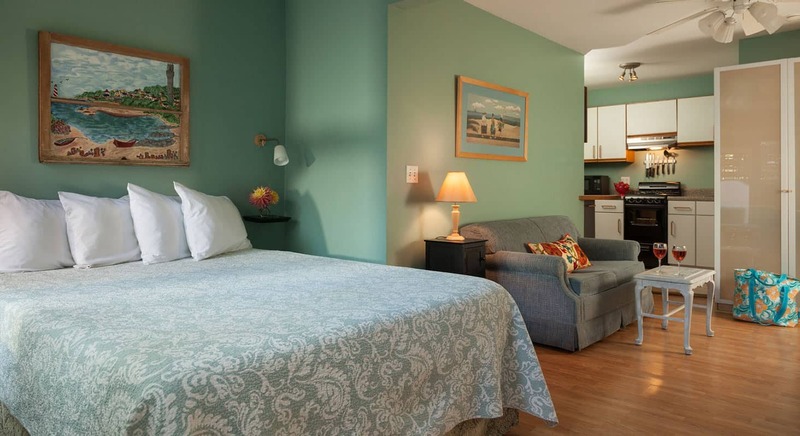 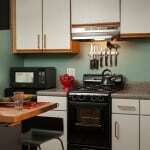 This room is ADA accessible, it is on the ground floor with no ramp, and has a newly remodeled walk-in shower.